schwit1 writes A Dutch company has introduced a detection system that can alert you if a police officer or other emergency services official is using a two-way radio nearby. Blu Eye monitors frequencies used by the encrypted TETRA encrypted communications networks used by government agencies in Europe. It doesn't allow the user to listen in to transmissions, but can detect a radio in operation up to one kilometer away. Even if a message isn't being sent, these radios send pulses out to the network every four seconds and Blu Eye can also pick these up, according to The Sunday Times. A dashboard-mounted monitor uses lights and sounds to alert the driver to the proximity of the source, similar to a radar detector interface. An anonymous reader points out NASA's info page on the Anatares rocket launch happening later today. NASA's Wallops Flight Facility and Virginia's Mid-Atlantic Regional Spaceport are set to support the launch of Orbital Sciences' Antares rocket at 6:45 p.m. EDT, October 27. The Antares rocket will carry Orbital's Cygnus cargo spacecraft, loaded with some 5,000 pounds of supplies and experiments, to the International Space Station. The launch may be visible, weather permitting, to residents throughout the mid-Atlantic and Northeast regions of the United States. Here's a visibility map of launch. 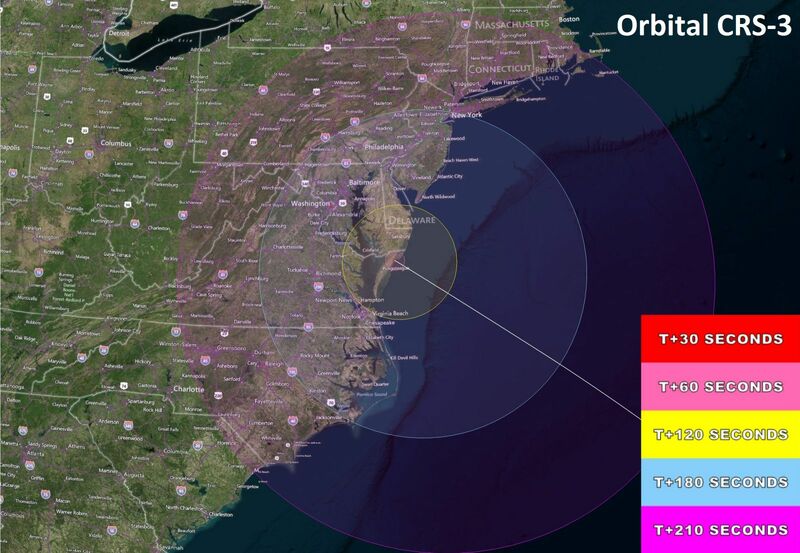 Public viewing of the launch will be available at the NASA Visitor Center at Wallops and at the Chincoteague National Wildlife Refuge/Assateague Island National Seashore. Here's more information about the Visitors Center, including directions, and information on viewing sites recommended by the Eastern Shore of Virginia Tourism Commission. Live coverage of the mission is scheduled to begin at noon on the Wallops Ustream site." McGruber (1417641) writes "According to a report published by The Financial Times (paywalled), ex-Microsoft CEO Billionaire Steve Ballmer will be able to write off about a billion dollars of his basketball team's purchase price from the taxable income he makes over the next 15 years. "Under an exception in US law, buyers of sports franchises can use an accounting treatment known as goodwill against their other taxable income. This feature is commonly used by tax specialists to structure deals for sports teams. Goodwill is the difference between the purchase price of an asset and the actual cash and other fixed assets belonging to the team." Maurits van der Schee writes "The Court of Justice of the European Union has ruled that embedding a copyrighted YouTube video in your site is not copyright infringement. From the article: "The case in question was referred to EU’s Court of Justice by a German court. It deals with a dispute between the water filtering company BestWater International and two men who work as independent commercial agents for a competitor. Bestwater accused the men of embedding one of their promotional videos, which was available on YouTube without the company’s permission. The video was embedded on the personal website of the two through a frame, as is usual with YouTube videos. While EU law is clear on most piracy issues, the copyright directive says very little about embedding copyrighted works. The Court of Justice, however, now argues that embedding is not copyright infringement." mbone writes with news about the first privately-funded spacecraft to travel the Moon. Cold War competition between superpowers dominated the first decades of space travel and exploration. Individual governments took the lead, bankrolling most of the process in the name of competition and nationalism. Ultimately international cooperation and collaboration took root, and the landscape is already very different. The present and future of space exploration is more collaborative, more international, and involves both space agencies and private companies. One such project is the combination Chang’e 5-T1 and Manfred Memorial Moon Mission (4M), which launched together last Thursday. Both projects are testbeds for ideas: Chang’e 5-T1 is a prototype for a robotic probe intended to return samples from the Moon to Earth, while 4M is a simple communications experiment encouraging amateur participation. But the intriguing bit is that 4M is a project of the private Luxembourg-based company LuxSpace, while Chang’e 5-T1 is a Chinese project, and the whole endeavor was launched on a Chinese rocket. First time accepted submitter halfquibble52 writes As more U.S. troops head to West Africa, the Pentagon is developing portable isolation units that can carry up to 12 Ebola patients for transport on military planes. The Pentagon says it does not expect it will need the units for 3,000 U.S. troops heading to the region to combat the virus because military personnel will not be treating Ebola patients directly. Instead, the troops are focusing on building clinics, training personnel and testing patient blood samples for Ebola. theodp writes After an NPR podcast fingered the marketing of computers to boys as the culprit behind the declining percentages of women in undergraduate CS curricula since 1984 (a theory seconded by Smithsonian mag), some are concluding that NPR got the wrong guy. Calling 'When Women Stopped Coding' quite engaging, but long on Political Correctness and short on real evidence, UC Davis CS Prof Norm Matloff concedes a sexist element, but largely ascribes the gender lopsidedness to economics. 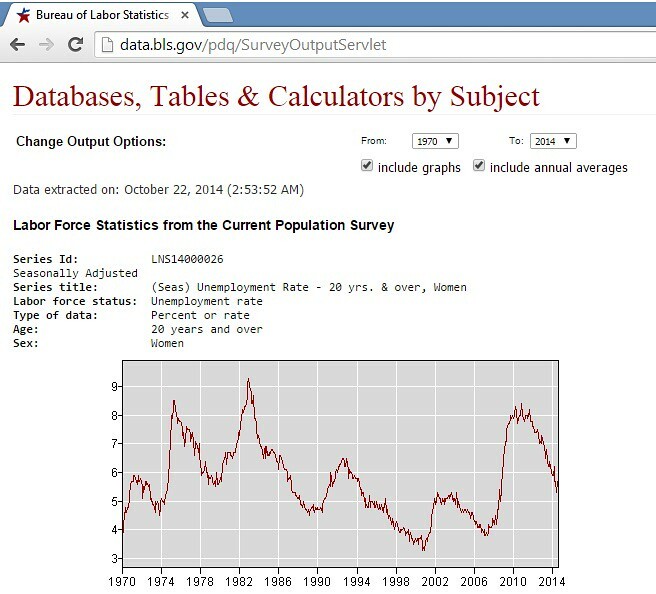 "That women are more practical than men, and that the well-publicized drastic swings in the CS labor market are offputting to women more than men," writes Matloff, and "was confirmed by a 2008 survey in the Communications of the ACM" (related charts of U.S. unemployment rates and Federal R&D spending in the '80s). Looking at the raw numbers of female CS grads instead of percentages, suggests there wasn't a sudden and unexpected disappearance of a generation of women coders, but rather a dilution in their percentages as women's growth in undergrad CS ranks was far outpaced by men, including a boom around the time of the dot-com boom/bust. An anonymous reader writes Once again, a shadow of a signal that scientists hoped would amplify into conclusive evidence of dark matter has instead flatlined, repeating a maddening refrain in the search for the invisible, omnipresent particles. The Fermi Large Area Telescope (LAT) failed to detect the glow of gamma rays emitted by annihilating dark matter in miniature "dwarf" galaxies that orbit the Milky Way, scientists reported Friday at a meeting in Nagoya, Japan. The hint of such a glow showed up in a Fermi analysis last year, but the statistical bump disappeared as more data accumulated. "We were obviously somewhat disappointed not to see a signal," said Matthew Wood, a postdoctoral researcher at Stanford University who was centrally involved the Fermi-LAT collaboration's new analysis, in an email. Chipmunk100 writes Most of the concerns about climate change have focused on the amount of greenhouse gases that have been released into the atmosphere. Researchers have found that circulation of the ocean plays an equally important role in regulating the earth's climate. The study results were published the journal Science (pay wall). "Our study suggests that changes in the storage of heat in the deep ocean could be as important to climate change as other hypotheses – tectonic activity or a drop in the carbon dioxide level – and likely led to one of the major climate transitions of the past 30 million years," said one of the authors." HughPickens.com writes Clifford Davis reports that only 30% of young people between the ages of 17 and 24 are qualified to become soldiers primarily due to three issues: obesity or health problems; lack of a high school education; and criminal histories. While cognitive and moral disqualifications have held steady, weight issues account for 18% of disqualifications, and the number is rising steadily and it's projected to hit 25% by 2025, which Batschelet calls "troubling." The current Army policy is that every recruit, whether enlisting for infantry or graphic design, has to meet the same physical requirements to join — but that requirement may be changing. "Today, we need cyber warriors, so we're starting to recruit for Army Cyber," says Batschelet. "One of the things we're considering is that your [mission] as a cyber warrior is different. Maybe you're not the Ranger who can do 100 pushups, 100 sit-ups and run the 2-mile inside of 10 minutes, but you can crack a data system of an enemy." "We're looking for America's best and brightest just like any Fortune 500 company out there," says Lt. Col. Sharlene Pigg. "We're looking for those men and women who excel in science, technology, engineering and math." Batschelet admits that a drastic change in physical requirements for recruits may be hard for some to swallow. "That's going to be an institutional, cultural change for us to be able to get our heads around that is kind of a different definition of quality," says Batschelet. "I would say it's a modernizing, or defining in a more precise way, what is considered quality for soldiers." TMB writes Al Jazeera reports on a Rutgers study about e-voting in New Jersey after Superstorm Sandy, and it is damning. It concludes that the middle of a natural disaster is the last time to try switching to a new voting method, especially one rife with such problems as e-voting. The table of contents includes such section headings as "Internet voting is not safe, should not be made legal, and should never be incorporated into emergency measures." First time accepted submitter Torontoman points out this story of a man with one of the rarest blood types in the world. Forty years ago, when ten-year-old Thomas went into the University Hospital of Geneva with a routine childhood infection, his blood test revealed something very curious: he appeared to be missing an entire blood group system. There are 35 blood group systems, organized according to the genes that carry the information to produce the antigens within each system. The majority of the 342 blood group antigens belong to one of these systems. The Rh system (formerly known as ‘Rhesus’) is the largest, containing 61 antigens. The most important of these Rh antigens, the D antigen, is quite often missing in Caucasians, of whom around 15 per cent are Rh D negative (more commonly, though inaccurately, known as Rh-negative blood). But Thomas seemed to be lacking all the Rh antigens. If this suspicion proved correct, it would make his blood type Rhnull – one of the rarest in the world, and a phenomenal discovery for the hospital hematologists. An anonymous reader writes CVS and Rite Aid have reportedly shut off the NFC-based contactless payment option at point of sale terminals in thousands of stores. The move will make it impossible to pay for products using Apple Pay or Google Wallet. Rite Aid posted at their stores: "Please note that we do not accept Apple Pay at this time. However we are currently working with a group of large retailers to develop a mobile wallet that allows for mobile payments attached to credit cards and bank accounts directly from a smart phone. We expect to have this feature available in the first half of 2015." An anonymous reader writes If you like the smell of rotten eggs, horse urine, formaldehyde, bitter almonds, alcohol, vinegar with a hint of sweet ether, you'd love the smell of a comet. Researchers at the University of Bern, in Switzerland, determined the odor of 67P/Churyumov-Gerasimenko comet by analyzing the chemicals in its coma, the fuzzy head surrounding the nucleus. The molecules were collected by an instrument aboard the Rosetta spacecraft, which has been flying in tandem with the comet. sfcrazy writes Factory and Tumbleweed will merge to become a single release. The release will follow the development cycle of Factory but take the more appealing name, Tumbleweed. Commenting on the new development Greg Kroah-Hartman said, “The changes to the Factory release model have changed it from being an unstable development codebase into the type of rolling release I set out to create when starting openSUSE Tumbleweed. I’m very happy to see these two rolling releases coming together under the name Tumbleweed, and am looking forward to watching how it develops in the future.” Factory won't disappear; It will become a "development project" for creating the "user-ready" Tumbleweed."